The Official SBS Blog announced the SBS World Wide Community Survey for this year. The survey has become an annual event in the SBS community. Please take the time to fill it out as the information is used by the SBS team. It will only take a minute. The Survey site: SBS WWW Community Survey 2008. Each and every Intel Server Board, such as the S5000PSLSATAR, will have a list of tested memory for that board. That list is far from static. It is constantly being updated as more and more manufacturers get their memory products validated with a particular server board. Intel goes to great lengths for us in the Channel to make sure there is a list of components that will work as they should when configured in a server. These lengths give us the confidence to quote on a server setup knowing that we will have a stable server at the end of that particular build. When we put a call into Intel to get some assistance with troubleshooting a server problem, one of the first questions out of the technician's mouth will be what type of memory was installed on the server board. If that memory is not on the approved list, then the reseller/integrator will be responsible for purchasing and installing memory that is on the list before Intel will go any further with the troubleshooting. Note that the part numbers with the "I" suffix are Intel validated. The others are not. Given the plethora of memory chip manufacturers, PCB board manufacturers, and all of the other components on a memory stick, there are so many combinations that come together to defeat a server configuration out of the box or even a week, month, or year down the road. The "I" suffix gives us the assurance that the components that make up the memory stick will work as expected when plugged into an Intel server board. The "I" memory sticks will cost more too. It is, however, a small price to pay when a server is due to be delivered tomorrow but decided to start spontaneously rebooting this afternoon near the end of its 72 hour burn in! We were in that situation once ... and we learned a valuable lesson that day. We had the Canadian EnergizeIT Certification Bootcamp hosted at our Edmonton Microsoft User Group meeting last night. We had about 240 or so register and it looked as though most of them showed up. Our presenters were Kai Axford and MVP Kirk Munro. The presentations were awesome. Kai has an excellent ability to make his point very clear and get a few laughs in between. Among other things, we learned that VMs must be managed in the same manner as a physical system: They must be patched, have A/V running on them, and share similar access permissions structures as physical systems. Kirk did a good job getting into Server Core as well as a good overview of PowerShell's capabilities. The Server Core Configurator allows one to work with a Core installation without needing to run the various configuration commands at the command line. This is an excellent little tool for those who are looking to get a Core installation up and running and available for RSAT (x86 download site) management via a remote Windows Vista SP1 or Full Server 2008 installation. All in all, the evening was very rewarding with both excellent speakers and great content. Sign into the Partner Membership Centre. Click on View Your Membership Account button. Click the Membership Center button in the drop down list. Click the Orders & Benefits link. Click Additional Enrollment Summary in the drop down list. Click the "Click here to renew" link. The above "Click here to renew" link will appear if your MAPS renewal date falls before June 19, 2008. If the anniversary date is after June 19, 2008, then there will be an assessment requirement prior to being allowed to renew. Once the assessment course and exam has been passed the organization will be required to complete an assessment every two (2) years. I do believe that the assessment is definitely a step in the right direction. We have mentioned in the past that we have had some difficult dealings with Ingram Micro Canada. Well, a client of ours ordered some Lexar 1GB JumpDrives that were only available from Ingram. All we needed were 5, so we placed the order online last Wednesday afternoon with the confirmation email for the order coming through shortly after that. We made sure to phone in and verify a number of times via the sales rep we were speaking with that the order was good to go and they assured us that it was. We had already committed to our client that they would see them today as yesterday was a holiday here in Canada. We received a call last Friday afternoon from another Ingram sales rep indicating that our order was still on hold and required approval. We indicated to the Friday sales rep that we had done all of that with the previous Wednesday rep. They even indicated that our credit card was indeed associated with the transaction and that it should have gone through. So, then began the "negotiations" to have that shipment overnight to us so that we would receive it today. After a successive amount of, "Please let me place you on hold" by the Friday sales rep, they received the go-ahead to get the shipment to us today by UPS overnight at no extra charge. The transaction was still on hold this afternoon! This was found out because our regular UPS driver had not shown up by lunch. A quick check of the status for the transaction turned up today's date for the transaction being released. This was after the Friday sales rep assured us that the product would reach us today, after the Wednesday sales rep had assured us that the product would be here by today, and now today the Customer Service rep letting us know that the product will be here tomorrow. So, now we are in the position of having to apologize to our client for the product delay all the while providing them with an ETA for tomorrow. In the mean time the delay has caused a production issue with our client, so we will end up needing to compensate them in some way as a sign of good faith. We are only as good as our word. If a client cannot count on our word, then what else is there? That motto takes on a while new meaning when it is our reputation and the food and shelter we provide our families on the hook for a client's lack of confidence in our word. They certainly would not be our client once they have lost that confidence in us. The big thing for us and what was our current Microsoft Desktop Optimization Pack (MDOP) 2007 edition was the discovery of not being able to work with a Windows Vista installation that had a lost local admin password. The user had set things up so that once they were configured they did not need the admin account for any changes. Booting to ERD Commander 2005 (a part of MDOP 2007) to change that admin password led us to the message that ERD Commander could not find any supported operating systems! We ran the x64 version of the MSI file as this workstation is running Windows Vista x64. Vista DVD required. ISO will not work. Note that if the ERD setup is being run on x64 architecture, then the DVD for the image must also be an x64 based Vista OS. The setup will ask which tools need to be installed onto the bootable disk, we left the default which was the complete set. The Standalone System Sweeper will request a definition download which we allowed. Note that the download may take a few minutes. Remember that any additional drivers and utilities that would be made available must be in the x64 flavour to work. We have a couple of bootable flash drives, one for x86 and one for x64 WinPE. We use them to install our lab images onto our lab systems. So, we pulled some of the necessary utilities from them to this WinPE setup too. 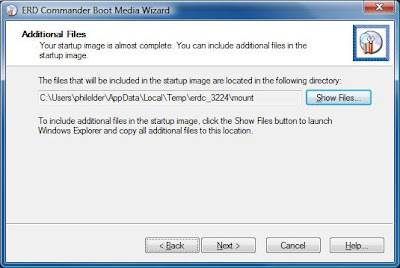 The ISO image will be generated to a folder we select. Once the ISO image has been completed, we are presented with the option to burn it to a DVD. 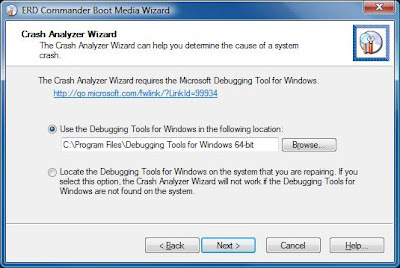 The ERD Commander utility has more than paid for our Windows Vista Software Assurance. It provides us with a simple way to get into any system, whether DC, domain member, or standalone, to change the admin password. Thus we do not have to go through the pain of trying to figure out the plethora of other "admin password change solutions" out there. There are also a huge number of additional utilities included with Windows Vista Software Assurance. It is well worth the expense. It is quite an adventure to find the necessary information on the various commands needed to get a Server 2008 Core install up and running and subsequently live in production. This list is by no means comprehensive, but the listed commands are the required ones to make things happen! The above hardware configuration will be the basis for all of our commands. Out of the box the Admin password is blank. Set a new password for the local admin account that meets password complexity requirements. If the pagefileset command gives you grief, reboot, then try the command again and it should work. If the command fails, check for typos. net share VirtualMachines=G:\VMs /Grant:"MySBSDomain\Domain Admins",FULL /Remark:"My Virtual Machines"
On the domain DHCP server setup reservations for the planned IPs needed for the 2 NICs. ipconfig to get the currently assigned IP addresses in relationship to the NIC name. For the following, hit the F3 key (DOSKey for those who remember), then the up arrow key to scroll through previously used commands to make things easier than retyping everything. Just change the relevant IP setting. IPConfig /all to verify settings. This is the correct syntax for this one ... not the original in the post that came from the above KB article that has been struck out. Plus, a couple of extras were needed to make things complete. 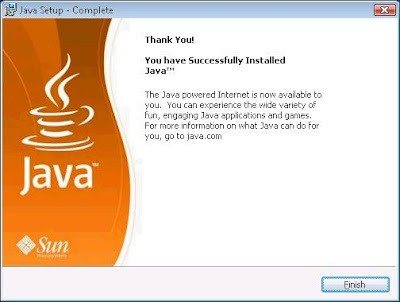 Update the Server Core installation (previous blog post). If ISOs reside on a network share, configure the Hyper-V server to access the share via Constrained Delegation (previous blog post). Now that we have a good grasp on what commands are required to complete a Hyper-V setup on Server Core, we can place all of the above commands into a series of batch files that can be ran at each step. Some quick modifications to tailor things such as names and not leaving our domain admin password in a plain text file would be a good thing. With the Hyper-V Manager we are able to create, modify, update, and delete any virtual machines associated with any Hyper-V enabled Server 2008 instance on our domain. 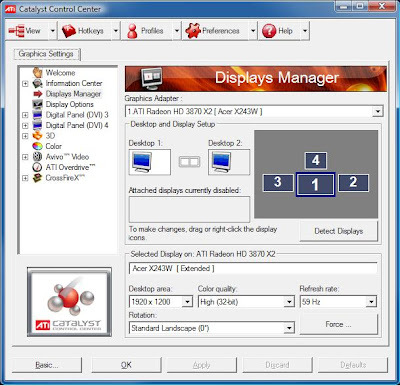 One can also use an MMC on Vista to connect to the Server Core machine and manage its settings to some degree. The new Microsoft Virtualization setup is quite slick, and, when Hyper-V is installed on Server Core it rocks! UPDATE: Missed the Windows Networking setup step. UPDATE 2008-09-01: Added the initial step to discover the host name, added the update Server Core step, and some minor tweaks to the commands. Updated the firewall rules to reflect the proper syntax. UPDATE 2008-10-30: Added the Exit command for the DiskPart command set, and a link to our previous post on moving the swapfile in Server Core. UPDATE 2009-02-20: Added the Constrained Delegation step as well as the opening up of the Windows Advanced Firewall to remote management step. In the current SR1530HSH/SH line of 1U uniprocessor server systems we no longer need to deal with a standard and LX version of the product. The cost differential between the base AH model and the hot swap AHLX model was quite a bit steeper than the current SH models. So, in some cases we have configured the SR1530AH model with the add-in PCI-E PCB and subsequently an SRCSASRB Intel RAID controller for better drive performance without the need for the LX or hot swap features. Install the Intel RAID controller into the PCI-E Riser card. Install the riser into the 1U server. Boot the server and connect to the RAID controller BIOS. Download the newest SRCSASRB firmware. 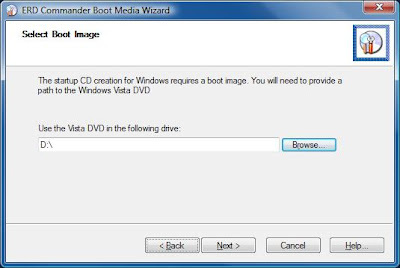 Boot to a bootable USB flash drive. Reboot and check into the SRCSASRB settings. Download the newest S3000AH BIOS. Reboot and verify the SRCSASRB shows up in the BIOS' hard drive boot order. Boot into the Windows Server 2008 setup. Install the SRCSASRB drivers and go from there. On our first build we updated the SRCSASRB firmware without touching the S3000AH BIOS. In this case, the motherboard revision was a couple of steps back. 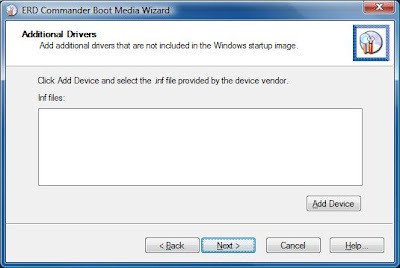 After the firmware update and subsequent boot into the Windows Server 2008 setup we kept getting an error message indicating that there was no controller associated with the hard disks listed. The error is identical to the one experienced in a previous Windows Vista setup problem. In this case though, we rebooted back into the BIOS and sure enough the RAID controller was not listed as one of the boot device options. Once we updated the board's BIOS we were good to go ... the SRCSASRB showed up in the BIOS as a bootable device and Windows Server 2008 was happy to be installed on the configured array. Intel's site indicates that drivers are forth coming for the Xeon 3000 series servers. 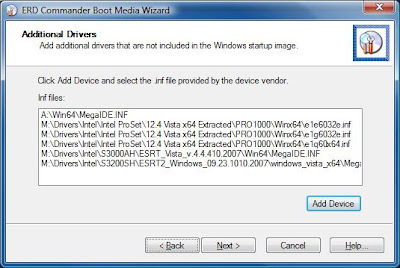 When at the S3200SH choose your OS download page, if one chooses either the 32bit or 64bit versions of Vista we end up with no drivers available. However, if we choose the Server 2003 x64 or x86 OS version, we do end up with a download option: Software RAID Driver for Windows version 09.23.1010.2007. Place the drivers on a USB drive and we are good to go. Windows Server 2008 will pickup the RAID array(s) and the OS install can proceed. By the way, the Intel Server Configurator gives us a SATA based DVDROM or DVDRW as options. Intel has a disclaimer on their S3200SH support site indicating that connecting the SATA based optical drive to an on board or add-in RAID card is "Supported but not tested". We have done a number of Server 2008 installs for both Full and Core editions on systems configured with on board and add-in RAID. So far we have not run into a SATA based optical drive access or performance problem. Keep in mind that we make a point of sourcing only the Intel specific part numbers from our suppliers. We will not purchase other branded or supplied slimline optical drives for our rack mount server setups. For servers, we always err on the side of caution. This is one issue we will need to keep an eye on until Intel puts a "Fully supported and tested" indicator for the RAID controllers we work with. For some of our clients, this update will be held off for a bit longer yet as we have not had the chance to do a full range of testing. So, when going through the WSUS console or SBS R2 console acknowledging those updates, keep that in mind for your clients before hitting the Approve button. In our case, we will take one of the more advanced users and manually update their workstation/laptop before other users. 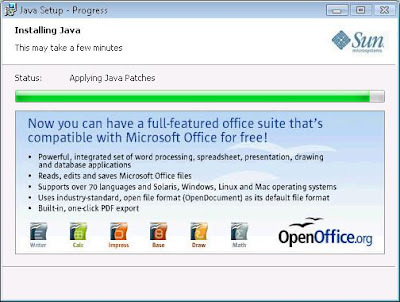 They are usually quick to point out improvements or not and whether their Line of Business Apps get broken or have issues with the Service Pack. Prior to that update being applied we will snapshot their workstation/laptop with ShadowProtect for that "just in case" fall back. Depending on an organization's needs and usage model, there are a number of configurations that can be used. Another possible option for our larger clients is Intel's new 6U Modular Server that gives us the ability to install up to 6 blades that support dual Xeon Quad Core 5400 CPUs and up to 32GB of RAM per blade. The modular server supports up to 14 2.5" SATA or SAS drives that can be configured in many different ways relative to one or more of the blades. SBS on one blade, SQL on another, ISA on yet another, and the rest for virtualization or other needs. There is a lot of flexibility to be had for virtualization and other server infrastructure needs on the Modular Server. Whatever the virtualization requirements that our clients have, server capabilities today can bring about a very quick and reasonable Return on Investment and with their very efficient power consumption patterns significantly reduce the Total Cost of Ownership over the life of the server. Since there is some time before my flight so I thought it would be good to RWW into one of our workstation VMs and work on a few things. This is the first time that I have attempted to use an airport WiFi setup. The airport WiFi here at Toronto's Pearson International is not free. The one time fee, or membership fee, for those using the Hotspot is quite reasonable. But, for whatever reason, once connected to the HotSpot and into the sign up process, I needed to download and install some sort of software MSI package. At least, that is what was indicated during the sign up process for the one day pass. The laptop that I am using is an old shop Pentium M machine. It is not the quickest system on the block. In a way this is fortunate, as the download process went quick, but the setup routine for the HotSpot software took a bit longer ... long enough to see the "You are ready to use our HotSpot" message flash in between and under the first "Run" after the download completed, and the second "Run" to accept the unsigned publisher prompt. This leads to a bit of a puzzle since the Terms & Conditions (T&C) did not indicate as the to outright purpose of the software other than the usual EULA statements. So, here we are connected to our desktop via RWW without installing the software requested by the HotSpot Web page. Nothing in the T&C indicated that we had to install the software either. It was implied that we should install it. If a service provider does not outline in a very clear and concise language exactly what the T&Cs are for a given software package that looks like it needs to be installed as part of the service, then one needs to weigh in very carefully whether they are willing to open their system up to that software package. In this case, the answer is a clear and resounding "No" ... especially since the software package is not a required part of the service and the HotSpot service itself operates independently of the software package. This begs the question: Exactly what is the nature and purpose of the HotSpot software? We have had a chance to have some production Windows XP and Vista virtual machines running in Hyper-V on Server Core Standard for a few days now. We decided to copy over our production VMs to Hyper-V, because that was the only way we were going to get any real experience with the product. All in all, the experience has been positive. VM performance is faster than Virtual Server 2005 R2 SP1 on W2K3 R2 Standard SP2. Single core to single core on an identically equipped 1U Intel Xeon 3000 Series. From VM boot times, to program start up, to running some pretty intense reports in QuickBooks, things move a lot quicker. Adding a second core to the Hyper-V based VM increases performance significantly. Server Core's overhead is a paltry 256MB of RAM, in this case leaving 7.75GB to the VMs. Server Core's hard drive footprint is relatively small, and can be made smaller by removing not needed packages (Server Core blog how-to). One of the first things we needed to do to get Hyper-V to work with the newer Intel S3000AH series NIC setup in our 1U was to download the Hyper-V RC0 and install it. We downloaded the MSU file to a company folder share the Server Core system was connected to, copied it over to a local folder on the Server Core machine, then ran the update from the command line from that folder by typing it's full name and hitting Enter. The RC0 install routine fired up with no issues, rebooted the machine, then ran some more install routines on login. We needed to have Windows Vista SP1 on the workstation we were going to install the Hyper-V management console (x64 Console, x86 Console) on. Our Windows Vista SP1 VM that came from a Virtual Server 2005 R2 SP1 with Virtual Machine additions removed would not setup on Hyper-V at all. Access to ISOs on an Intel SS4000E in either Local Authentication or Active Directory Authentication Mode will not work. The XP VMs go into some sort of near death pause for anywhere from 15-30 seconds periodically and somewhat randomly. What we are also finding out with the current setup is that the performance bottleneck has moved from the Windows OS to the storage subsystem. We have discovered that we need a really good hardware accelerated RAID controller to reduce or eliminate that bottleneck. All in all, as Hyper-V goes through its final development phase into RTM, things can only get better. Working with both Server Core and Hyper-V has been a really good experience so far. A neat part of the whole endeavour is discovering all of the quick and simple ways one can manage the server from the command line. And subsequently, manage the Full Server 2008 Install in the same manner.